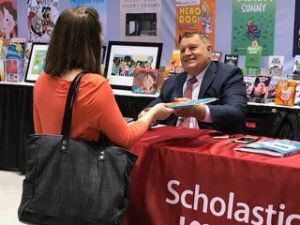 August 11, 2017 Blossom Plays Possum Chinese translation rights sold for 2019 release. 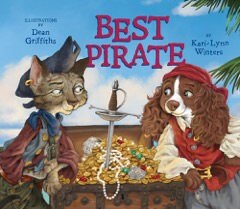 Kari-Lynn recently launched her newest book Best Pirate. 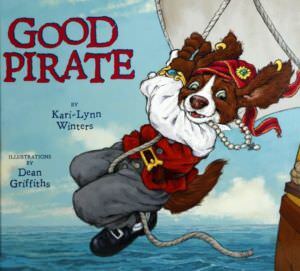 Good Pirate by Kari-Lynn Winters is a 2017-2018 Chocolate Lily Finalist. 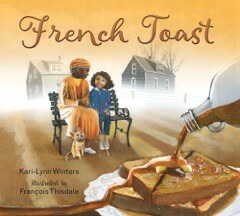 French Toast by author Kari-Lyn Winters is a 2017 Shining Willow Finalist. 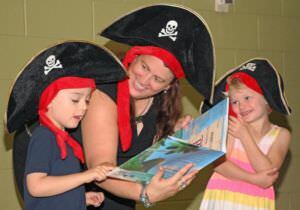 Kari-Lynn Winters reads Good Pirate with two of eager pirates. 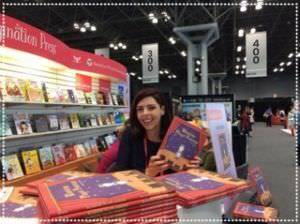 Birdy Jones signing Blossom Plays Possum in the Magination Press booth at Book Expo, NYC.